Day 2 of the Championships at Royal Randwick on Saturday features the Group 1 Queen Elizabeth Stakes, the richest ten furlong race in the world. There is total prize money of $4million on offer and Her Majesty The Queen has realistic prospects of winning with Carlton House. The Queen came close to fulfilling a lifelong ambition when Carlton House was third in the Epsom Derby in 2011. He looked set for victory under Ryan Moore with a furlong to travel but the huge crowd could not quite lift him home in front. He ran poorly in the Irish Derby next time out and eventually left Sir Michael Stoute’s Newmarket yard for a new career in Australia. He is now in the care of Melbourne Cup winning trainer Gai Waterhouse. She won Australia’s most treasured race with another former Stoute inmate in Fiorente. 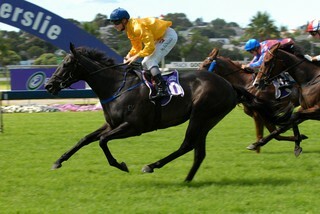 Sadly that horse’s racing career has been cut short by a racing injury and attention now switches to the Royal runner. He ran his best race for the new yard last time out when just caught on the post by Silent Achiever in the Ranvet Stakes. The big question is whether or not he can handle the forecast heavy ground. Silent Achiever has since won again, this time claiming her third Group 1 of the season The BMW. She beat It’s A Dundeel and Fiorente that day, although there has been a lot of money for the runner-up this week. It’s A Dundeel is yet to recapture his best form from his three-year-old days but connections are quite bullish ahead of this race. Silent Achiever has done nothing wrong this season and could be the value bet at 7-2 with Bet365. Sacred Falls and Royal Descent were first and second here in the Doncaster Mile last weekend, separated by only half a length. Many believe that Royal Descent will reverse the form with the extra two furlongs to travel here. Another reason to fancy her is the fact that she won the Australian Oaks by ten lengths on heavy ground and will revel in the muddy conditions. Sacred Falls improved on his previous form to win last time but will need to improve again if he is to beat Boban and It’s A Dundeel. Both have his measure on previous meetings, although not on heavy ground. Green Moon won the Melbourne Cup in 2012 but has not graced the winner’s enclosure since. However, he put up his best effort last time over this trip when just beaten by Fiorente. The heavy ground is a major concern for his followers having failed to handle soft ground in the UK in his younger days. The enigmatic Hawkspur and last time out winner Le Roi are the best of the rest in a cracking race.